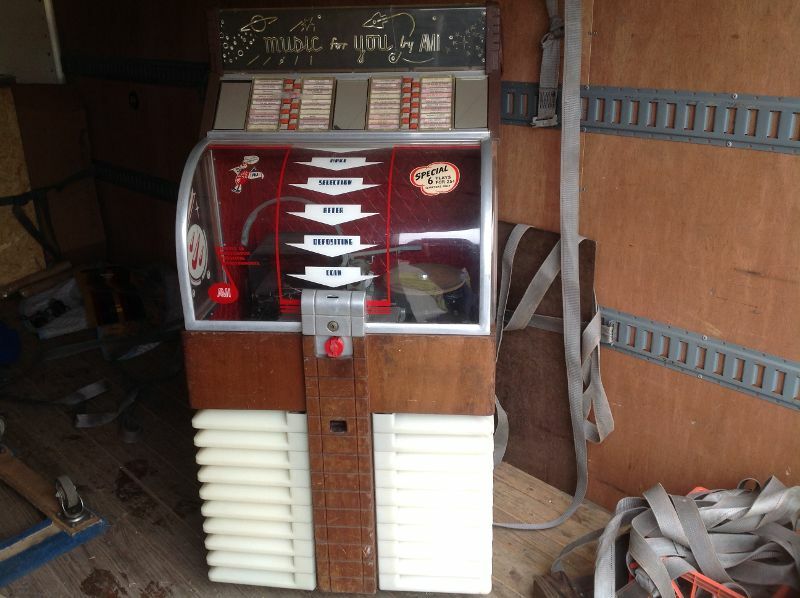 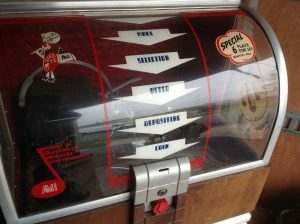 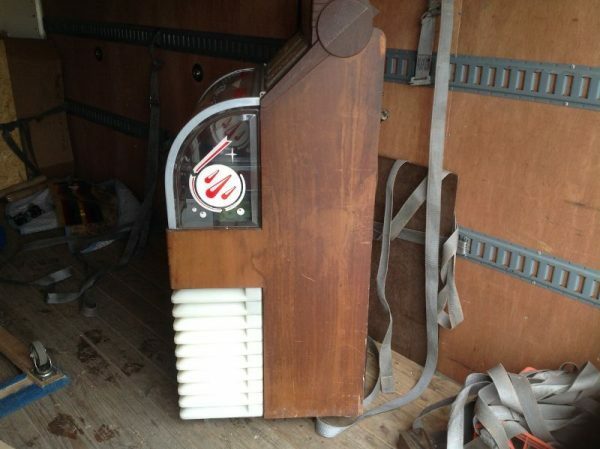 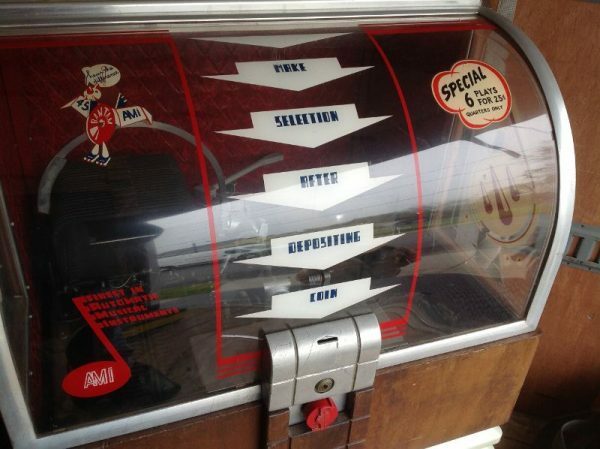 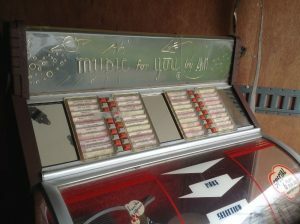 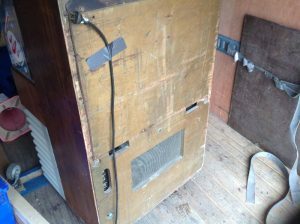 Mid-century AMI D 40 coin operated jukebox in as found condition. 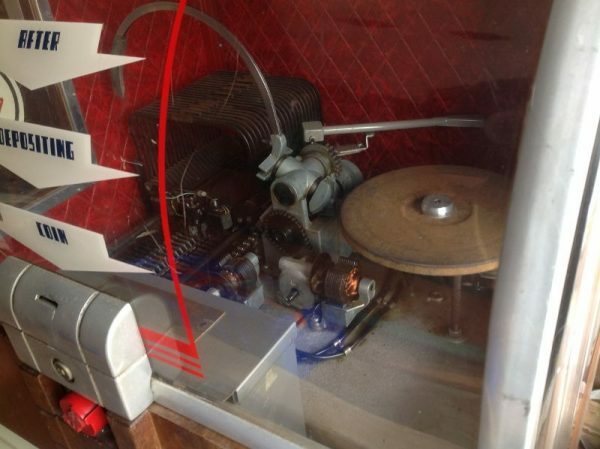 Motor runs but will need servicing to function correctly. 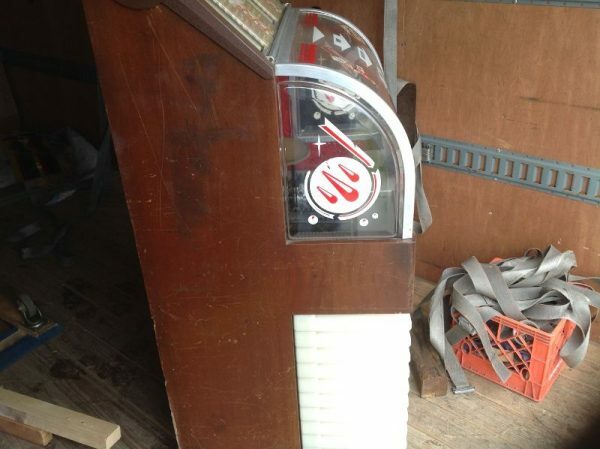 Looks to be original with a slight crack on top plastic marquee and lower corner left of bottom arrow near coin entry mech. 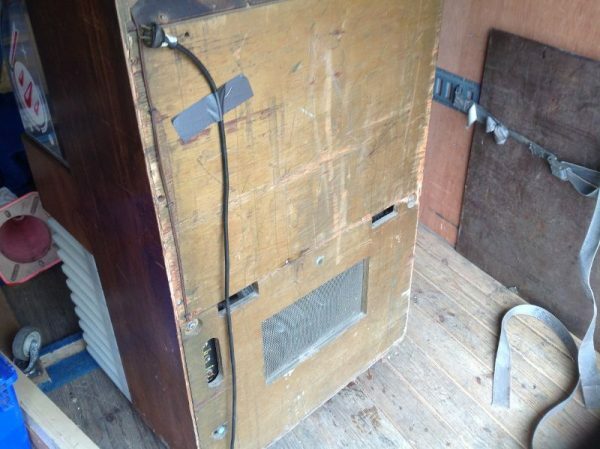 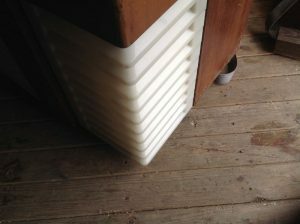 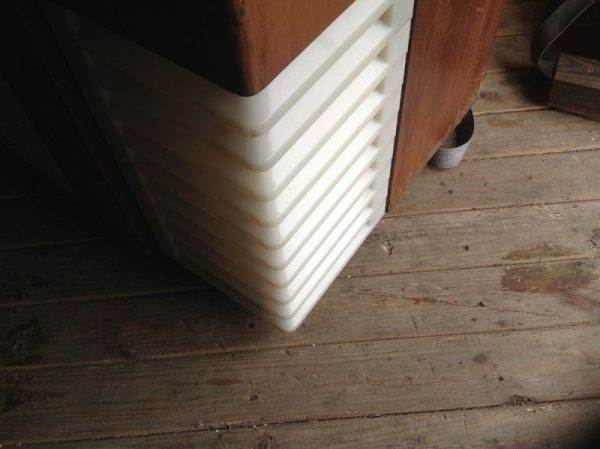 Neat old antique box……….